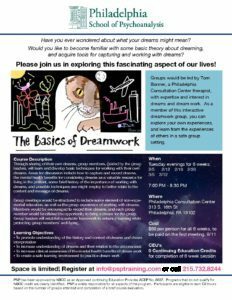 The Philadelphia School of Psychoanalysis hosts a variety of events that are open to the public. Be sure to check back often for upcoming events at PSP. PSP has been approved by NBCC as an Approved continuing Education Provider, ACEP No. 6637. Programs that do not qualify for NBCC credit are clearly identified. PSP is solely responsible for all aspects of the program. Participants are eligible to earn CE hours based on the number of groups attended and completion of a brief course evaluation.